A society which respects and listens to young women is a better society for all of us. We met the Director of Policy, Campaigns and Communications; Rebecca Gill on a grey day in October 2013. She contacted us following our blog post about the #mentalhealthpatient outcry on Twitter last September. Over a cup of coffee, Rebecca explained why she and her team were fighting so hard to improve the lives of our young women. We came away determined to help her change the future. 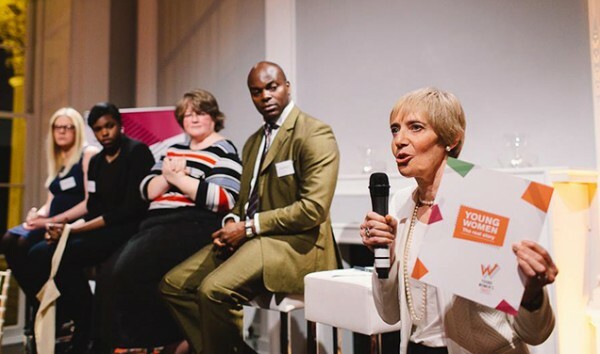 Young Women’s Trust is an old organisation with a fresh outlook. Founded in 1855 as YWCA England & Wales, it has worked to support girls and women for over a century and a half. In 2010 the organisation changed its name to Platform 51 in an effort to lessen confusion with YMCA England and take on a more contemporary feel. Three years on, it was clear that the new name and brand were lost on most people. The organisation was rethinking its focus and looking for a new brand that alluded to its proud heritage while remaining relevant to young women today. A rebrand of Platform 51 was already underway. 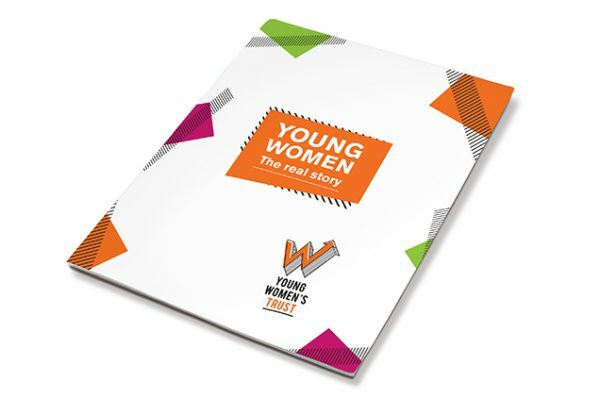 A new name, Young Women’s Trust, had been chosen, and a logo, colour palette and a limited set of brand guidelines had been produced by another agency as a pro-bono project. Rebecca was now looking for a creative agency to take the project forward and breathe life into the few brand elements that had been created. We were confident we could do just that. It’s not always easy to build on someone else’s idea. We prefer to start from scratch, digging into the whats and whys of the organisation’s purpose to inform the thinking. But there were budget and time limitations so an alternative route wasn’t an option. We built on the existing logo, replacing the pop-art style spots in the W device with horizontal lines to accentuate its three dimensional form and mis-registering the colour block within, giving it personality and an imperfect, hand-rendered feel. Alongside developing a vibrant visual and verbal brand we were asked to produce an impact report to highlight what life is really like for young women today. The timescale was tight – the organisation’s launch event date was already set and we had just over a month to complete the project. We knew we were taking on a challenge. And we were all set to rise to it. We decided on a typeface that felt bold and confident while appealing to a young audience, and gave the word ‘trust’ prominence by highlighting it in the primary colour and underlining it by hand. 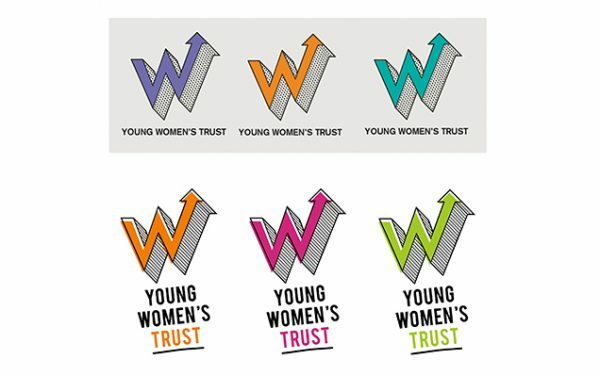 This adds to the personal feel of the logo and reflects the idea that much of the work Young Women’s Trust do for young women is based on mutual trust. With lots of input from the Young Women’s Trust team we chose a new colour palette, taking care to avoid the shades of pink that stereotypically represent the female gender and ruling out colours that were already being used by similar organisations. We settled on a vibrant shade of orange alongside black as the primary colours, backed up by secondary colours of cerise and green. Young Women’s Trust understand young women. They know that it’s not all about benefits, babies and bad behaviour. They knew the real story of young women; they just needed to find the right way to tell it. So we developed a straight-talking tone of voice showing that Young Women’s Trust are determined to change the future for young women. We based the impact report on the style of a women’s magazine, using elements of the visual brand we had developed to highlight the shocking statistics that had been uncovered in the extensive research and polls conducted over two years. And we told the story of young women as it is, using a bold yet conversational tone to engage the reader in the real struggles young women face every day. 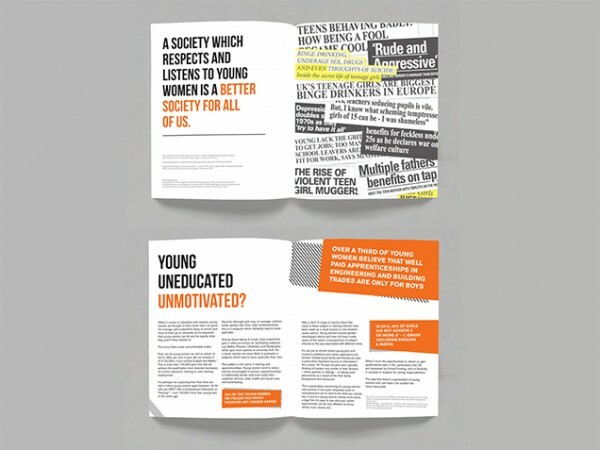 The headlines of each section of the report imitate the style of the Young Women’s Trust logo typography, challenging the media perception of young women today. Case studies throughout bring the story of young women to life, showing what it’s really like to be young, female and stereotyped. 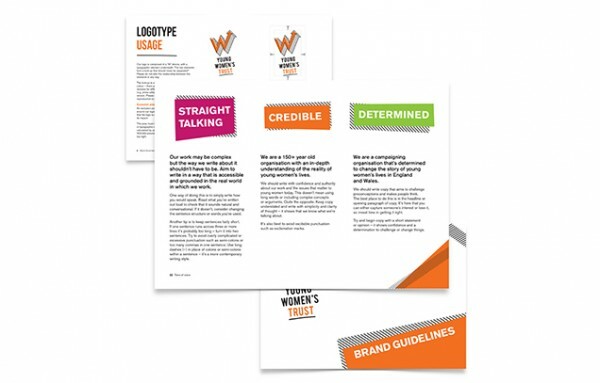 We left Young Women’s Trust with a comprehensive set of brand guidelines so that the team can continue to build their reputation as a voice for young women. We’re proudly supporting them wherever we can. The organisation’s mission to get young women the respect and support they deserve is now well underway. And we’re behind them all the way, because a society that respects young women is a better society for all of us.